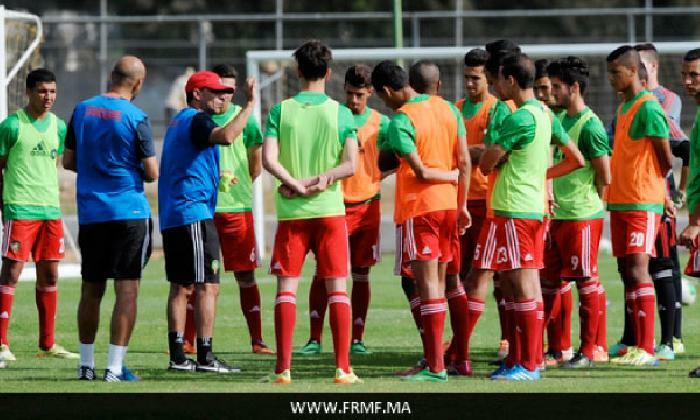 Disqualified by Togo at the end of the last round qualifiers for the Africa soccer Cup of Nations, Senegal 2015, Morocco selected people under 20 years who will go on training course of preparation at Maamora sports center in Rabat from 21 till 24 August. With Abdellah El Idrissi leadership, the Lion of Atlas sharpen their weapons for the international tournament of Qatar which will take place from 2 till 9 September. The first grouping concerns the players of Morocco championship. And it will be effective by two friendly matches with the selections of the nearby countries. The expatriate players are going to join the group in order to participate Qatar tournament. We so evoke the names of Mohamed El Bouazzati, Hicham Khaloua, Hamza Sakhi and Sofyan Amrabat.